Big Red Car here. Going to be a swell day in the ATX — sunny, warm and clear. Ahhh, on Earth as it is in Texas, y’all! So, you may have heard there is a Presidential election some time soon. Can’t remember exactly when but it is some time soon. There is a fellow leading the Republican polling just now — leading the polling in July of the year before an election is interesting but not really that important. Ask President Romney about that, y’all. Haha, Big Red Car funning y’all this morning. OK, sorry. Donald Trump. The Real Donald Trump. The Comb Over. The Donald. Donald Trump. Who is this guy? Who is the Real Donald Trump? What is the evidence? Read on, dear reader. Well, the Big Red Car doesn’t really know but there is an anecdote I want to tell y’all. Say Wollman Rink. Let me tell you a story. The saga of the Wollman Rink and the Real Donald Trump comes into focus in the mayoralty of Ed Koch. We are talking 1986 New York City. Koch did not like The Donald. Wollman Rink was a great attraction in Central Park but had been improperly constructed at its inception and thirty years later didn’t work. It was a disaster and the City of New York had been wrestling with fixing it for twelve years. TWELVE YEARS! Longer than it took to plan and execute a trip to the moon, y’all. 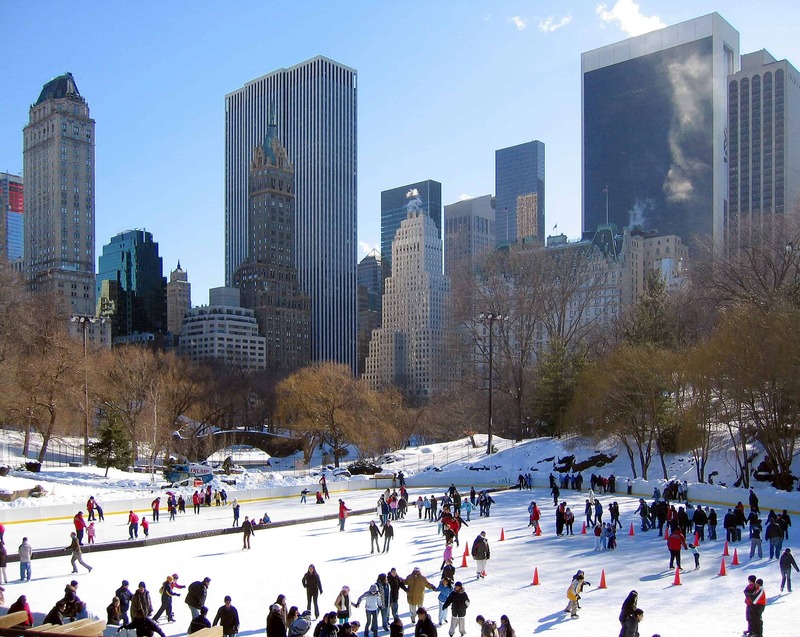 Mayor Koch received a scathing letter from The Donald decrying the fact that Wollman Rink had been out of commission for years, had pissed through twelve million dollars and was still several years from completion. The $12,000,000 was a sunk cost and it would cost a bloody fortune more to fix it. The Donald offered — no, demanded — to take over the project. Let’s cut to the chase — less than three months after being given the assignment The Donald finishes the project at an incredibly high level of quality and $750,000 under a $3,000,000 budget. That is The Real Donald Trump. That was The Donald in 1986 — twenty nine years ago. The guy has been around for a long time. The story gets better. The Donald operated the project for the city. In the first year, he made a $500,000 profit. The city had never turned a profit on the $4.50 entrance fee. Ever. The Donald, who promoted the Hell out of the skating rink, drove attendance up so high that even at $4.50/skater, he turned a profit. The Real Donald Trump finished the project early, under budget, and then ran the thing at a freakin’ profit. Those prices moved up with the times as the attached clearly show. The Donald charges you to be a spectator. The Donald is all about making a profit. The Donald is all about competence. Isn’t that a breathtaking and refreshing notion for government? That is The Real Donald Trump. That was The Real Donald Trump in 1986. Can it get better, Big Red Car? The Donald donated the profits to charity — after creating a reserve for the electrical expense of operating the skating rink. Fiscal freakin’ prudence. Now that’s in a little bit of shortage in Washington, no? The skating rink had never paid for its electricity before. Now, The Donald was paying for the electricity, not mooching. 5. $25,000 to United Cerebral Palsy. No money went to Barnum & Bailey and no clowns were injured in the renovation or operation of Wollman Rink. The biggest beneficiary was the City of New York and the quarter of a million skaters who enjoyed skating at the Rink that The Donald Built. So, dear reader, is this a guy you would trust with the levers of government? Or, are you content with a skating rink that the City of New York took almost two decades to fix and pissed away millions. The Big Red Car is thinking — The Donald is no clown. Now, that comb over? We will not go there today, dear readers. Let The Donald bask in all of his reflected glory. 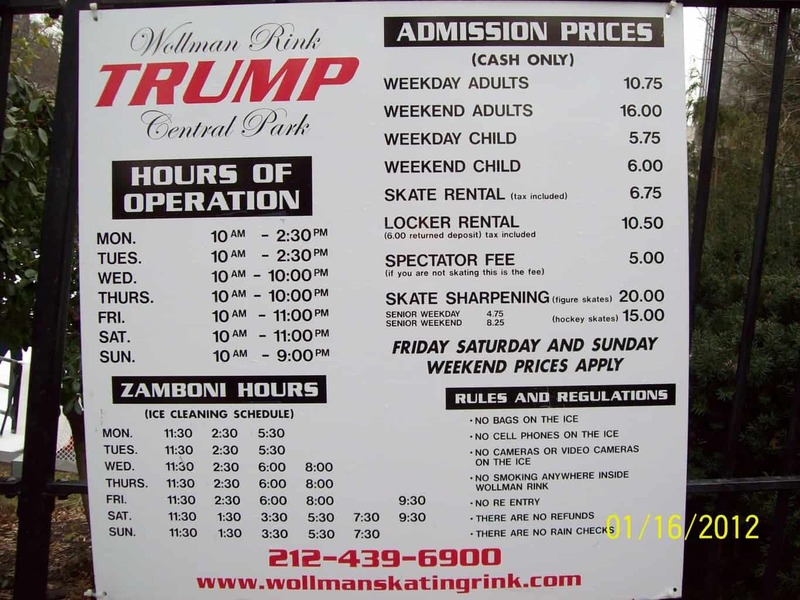 The next time YOU are in Central Park, walk by Wollman Rink and see The Rink that The Real Donald Trump Built. But, hey, what the Hell do I really know anyway? I’m just a Big Red Car. Be good to yourself today. You deserve it. This entry was posted in Politics, President and tagged The Real Donald Trump, Wollman Rink. Bookmark the permalink. i’m a donald fan. he may even get my vote. I think The Donald has already added some realism to the debate. We are missing any touch of the real in our governance today. We think we can spend like drunken sailors forever and ignore harsh foreign policy realities like the world is run on a T ball basis. That is how WWII got started. I’m a bit disappointed at the Republican primary the last couple of cycles. It’s a soundbite culture we live in now no matter what your politics are, but I’m just old enough to recall ’96 and we’re a long way off from anything said in the primaries translating to what gets done if someone is elected. His next big challenge is building a national presence. This where Jeb Bush has such a huge advantage. His father and brother both have legacy skeletal frameworks in place with state by state organizations and supporters. Jeb is going to raise more money than anyone in the history of politics. He is going to make Obama and Hillary look like paupers. If Trump throws a billion of his own dollars at it, he still has to build an organization and that will be his Achilles Heel. This anecdote about Wollman Rink may give you an insight into who he is and what he can do. No endorsement from the Big Red Car — just a “hmmmmm”.